An important part of the overall search engine optimization process is what is known as "on-page search engine optimization." Basically, this is just making sure that you're labeling your website content in a way that the search engines will find useful so that they can direct folks who are looking for what you provide (interview-winning resumes!) to your site. Having your on-page SEO done well isn’t necessarily going to help you achieve the #1 position for the type of searches your prospective resume clients are making. However, if you don’t have your pages well optimized, chances are you won’t rank at all. Taking some time to label your pages and content properly is an all-important prerequisite to getting your website ranked on the front page of your preferred search engine (Google, Bing, Yahoo, etc.). If you don’t have your on page SEO done properly, chances are you won’t be found on the first, or even second or third pages of the search. The primary reason you want to do on-page SEO is so that Google can accurately tell what your page is about. A poorly optimized page will seem like it’s about "everything." A well optimized page, on the other hand, will tell Google exactly what the page is about, so Google can give you strong rankings for your chosen keyword(s). Here’s how to optimize your resume business website page for search engines. For the purposes of demonstration, we’ll be using the “All in One SEO” plugin for WordPress for a number of these steps. The title tag is the most important tag in all of your SEO efforts. It’s what Google places the most weight on when they’re trying to determine what your site is about. Your title should have as much of your keyword towards the front of the tag as possible. Different pages on your site should have different title tags. Do not have the same title tag throughout your entire website. If you do, you waste each individual page’s potential to rank for unique keywords. For example, below is a setup for how your WordPress pages and posts might look like. You can configure your system to by default put post’s title first, then the blog’s name second, rather than the other way around. Your meta description tag doesn’t actually help you rank higher. Instead, what it does is tell Google what to display beneath your search listing. This can help you get a lot more clicks from Google by writing the “right thing” to hook your audience in. Each page on your site can have a different meta description. You definitely want to write the meta description for your home page and the popular pages on your site yourself. For the pages on your site that aren’t too popular, Google will just take an excerpt from your website and use that as your meta description. Your meta keywords tags tell Google what keywords you think your site is relevant for. It doesn’t bear much weight as far as helping you rank goes, but it can really help Google figure out what your site is about. It takes just a minute to do them and is good SEO practice in general. Generally, you want your URL to contain your keywords as much as possible. You never want to use just your post ID or the date as your URL. You should also avoid cryptic URLs that contain data that no human being can read. If you want to use just your post title as your URL for example, this is how you’d do it in the WordPress “Permalinks” settings. Optimizing your alt tags plays a much larger part on SEO than a lot of people think. It won’t single-handedly help you improve your search engine ranking, but it is an important factor for your on-page SEO. Give the images on your site good alt tags. Make sure the filenames are meaningful and make sure that your alt tags are descriptive. If you have purely navigational images on your site, such as white space or button backgrounds, name them numbers (111.jpg) rather than a text-based keyword. 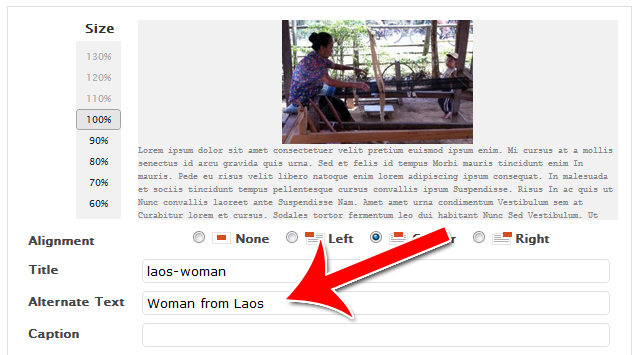 In WordPress, you can change the alt tag of images by going to that image’s preferences. You should "noindex" your non-content pages. Your affiliate pages, your category pages, your archives, and so on should all be "noindexed." This is particularly true if those pages contain duplicate content. On most blogs, category and archive pages are mostly duplicate content, so you definitely want to noindex those pages. Internal linking is one of the most crucial factors you can do to improve your SEO. Make sure you have links going from all your content pages to other pages on your site. 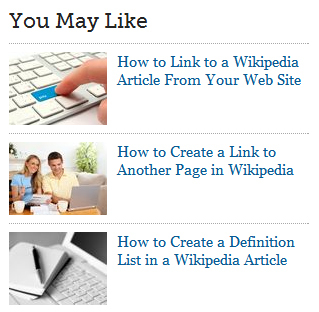 Embed these links within your actual content, or within links on the site or bottom of the article. Things like “You May Like” boxes or “Related Posts” boxes are all good choices. 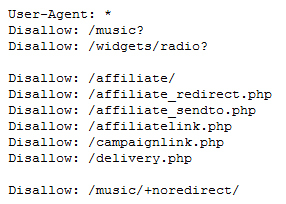 A robots.txt file just tells search engines where to go and where not to go. This is a good way to disallow search engine spiders from going where they’re not supposed to. This can help you keep the areas you don’t want from ranking out of the search engines. For example, you probably don’t want the paid areas of your site (like a members-only section) indexed and shown in the Google search engines. One factor that’s become more prominent since the Google Panda and Panda 2.0 updates is the ad-to-content ratio on your website. As the name suggests, the idea is to avoid stuffing your site with ads. Google knows that great websites tend to only have a few ads on their pages. On the other hand, people who focus too much on milking their visitors for as much cash as possible tend to produce lower quality content. So, therefore, pages with more ads tend to rank lower. Of course, you do need to make money – just limit your ads to one or two per page, rather than including ads all over the place. Finally, it all comes down to content and content quality. Google is looking to promote websites with high quality content. These are the most important on page factors to pay attention to in search engine optimization. Get your on page optimization right before you try and topple your competition. If you found this information helpful, check out "Website Traffic Secrets for Resume Writers." Or this post by Vayu Media. I'm "friends" with a lot of resume writers and careers industry professionals on Facebook, I "follow" lots of you guys on Twitter, and I'm "connected" with many folks on LinkedIn ... and in the course of participating in these social networks, I've noticed there's sometimes confusion between "business" social networking and "regular" (personal) social networking. Business social networking is more than just using social networks to grow your resume writing business. It represents a completely different mindset and approach to social networks. What Is Business Social Networking? Business social networking is social networking for the express purpose of making new contacts for your careers industry business and furthering your business development efforts using social networking tools. In other words, you're not there just to "hang out," to post pictures, to make random comments, or to garner as many likes as possible. Instead, you're looking to connect with prospects, clients, and influential people who can help you improve your life and business in some meaningful way. One key difference between "regular" and "business" social networking is that there's a goal on both sides. You're dealing with clients, prospective clients, media contacts (journalists, bloggers), and careers industry colleagues who all have a goal. Nobody is on these social networks to waste time (and this includes business networking on Facebook). This completely changes the "vibe" of the whole experience. The idea is to create win/win relationships and situations online as quickly as possible, then get back to business. You might be sharing ideas, information, or content -- but it is oriented towards achieving a specific goal (even if that goal is simply to create a stronger connection with someone). In the business world, however, the favor bank is a very important thing to keep in mind. If you help introduce a resume writing colleague to a career coach in their area, both the resume writer and the career coach "owe" you a favor. Or if you share their content with your business social networking audience (which might be bigger than theirs), they may feel they "owe you one"
It's not a one-to-one trade. Nobody keeps exact score. But you'll generate a lot of goodwill. Next time you need a referral, a retweet, or a LinkedIn recommendation, they're most likely going to say yes. After all, they want you to owe them in their favor bank as well. Standard social networking is mostly about the "right now." It's about posting what comes to mind, liking what you see, and spontaneous interactions. Business social networking, on the other hand, can have a much more long-term outlook. You build a relationship with prospective clients long before you try to make a sale. If you're looking for a subcontractor relationship with a resume writing colleague, you follow what they're posting on their business social networks (Facebook business page, Twitter profile, LinkedIn personal profile and company page) and engage with them through those channels. Business social networking can help introduce you to new people, but it can also help you cultivate and build relationships with people you already know. If you meet a colleague at a conference, or attend one of their teleseminars, follow their business page in addition to friending them on Facebook. As you can tell, the world of business to business social networking is very different than the layman's social network. There's a goal orientation. Time is more scarce. People are out to help each other and long-term relationships matter. A few days ago, I wrote about Career Brainstorming Day 2012. (Join me in Minneapolis, if you're able to!). It got me thinking about brainstorming. Specifically, brainstorming content. I talk to a lot of resume writers who say, "I'm not sure what to write about in my blog." Or "I want to do a teleseminar, but I don't know what topic will get people interested in attending." One of the best ways to engage readers is to be innovative. A couple of the most common ways to generate content ideas is by reading industry publications or doing keyword research. Those tactics are good and handy to keep in your pocket. But they can get old, too. You may begin to lose enthusiasm because you're writing about the same topics over and over again. The key to fresh, and exciting content is to come up with new content ideas that inspire you. Here are a few new ways to brainstorm content ideas. Grab those top keywords, the ones that are most popular for your prospective resume clients to use, and make a list. Write one keyword or keyword phrase at the top of a blank piece of paper. Begin to let your mind wander and write down words and phrases that come to mind. Don't filter or judge any idea — even if it feels ridiculous. Write it down! Once you've filled the piece of paper, continue onto another piece of paper and a new keyword. Don't start writing any articles. Enjoy this exercise until it feels like you've taxed your imagination. Then put the papers away. The ideas will float around in your mind throughout the rest of the day. If you are inspired to write, then sit down and write. Otherwise, pull out the papers in a day or two and grab a few ideas that feel interesting. Start writing. There are a few fun tools available online. One fun tool is a random word generator. You can have the tool provide a word, or two or three words, and then you use those words to create an article or blog topic. It really forces you to think outside the box and can be a fun way to brainstorm new content ideas. Eliminate words from the brainstorming process. Use a visual tool like a magazine, photo album, or a site like Pinterest to view images related to your niche. Let those images inspire topic ideas. You may want to be able to print the images to use as you're writing. Or you can cut them out if you're using magazines for inspiration. Finding topics and ideas to write about can be a challenge for any resume writer. When it becomes a challenge, it's easy to lose focus and interest in your niche topic. Instead of continuing to use old brainstorming techniques, consider embracing a few new ones. You might be surprised how productive they are. The morning planning session is one of the few time management techniques that just about every self-development speaker and every business coach teaches. From Anthony Robbins to Brian Tracy to David Allen, they all teach one form or another of this technique. The first 30 minutes of your work day are the most important 30 minutes of the day. It will help shape and guide everything you do for the rest of the day. Spending just 30 minutes on planning can add many hours of productivity to your work day. So what should you do during these 30 minutes? Start by envisioning yourself having achieved a productive day. Picture yourself achieving your long-term goals for your business. Then come up with a few relevant activities for your day that will help you achieve those goals. Check your task list and your to-do list. Filter it so your to-do list actually reflects what you intend to do today. Remove tasks that you're waiting on other people for; remove tasks that you can't make progress on today. When you sit down in front of your task list, you should only be looking at things you can actually take action on. Choose three things you want to accomplish today. These are the three things that if you get them done today, you'll feel like your day was a success. It's fine to have many smaller tasks. But make sure you choose the three big things you'd like to get done today. Again, go back to your long-term goal. Make sure you're putting items on your task list that will help you get there. What's Your Frog for the Day?? In his acclaimed book, "Eat That Frog," Brian Tracy talks about the benefits of tackling the most difficult thing in your day first. This helps prevent procrastination in the rest of your day and helps you get a lot more done. It also gives you a sense of success right out of the gate. Identify your frog for the day. What's the toughest task you have to complete? What are you most likely to procrastinate about today? Your schedule shouldn't be all work. At some point, you should take time to either relax or to work out. It can be at the beginning of your day, in the middle of your day or at the end, but make sure you give yourself the opportunity to recharge. Taking the time to plan out your day early in the morning will help you manage your day better, as well as get your day started with a burst of energy. By reminding yourself why you're doing what you're doing, then tackling your frog first, you'll give yourself a powerful motivational boost that will carry you through the rest of the day. Career Thought Leaders has opened registration for Global Career Brainstorming Day 2012! Space is limited to only 10 people, so if you're interested in joining me in the Twin Cities on Friday, Nov. 30 from 11:30 a.m. to 3:30 p.m., register today! The cost is $139 and includes lunch. Global Career Brainstorming Day — with in-person and virtual events — is a groundbreaking day of discovery as career colleagues join together to define our industry's best practices, identify emerging trends, and set new standards for performance. IMPORTANT: Each event is limited to 10 people only. As such, if you're interested, you need to register ASAP. All Brain Day events are led by a facilitator, and ideas, comments, trends, and best practices are recorded by a scribe, then aggregated with the information from all other events to create the final white paper publication. Note that each participant's name and contact information are included in the publication, so the visibility you get is vast! Here are important details, starting with a list of cities and facilitators. If you don't see a city near you, take a look at the information below about the virtual events. We host both so that everyone who wants to participate has the opportunity. If you’re interested in hosting a Brainstorming Day event in your city, we’d be delighted! Please read the website for details about how to add a city. If you're not close to one of our Brainstorming Day cities, attend a virtual event via phone or computer. They're just as much fun, intense, and rich in content as our live events! Register for these events based on the time zone you're in as they run from 12:30 p.m. to 3:30 p.m. LOCAL time. I hope you'll join me in Minneapolis -- OR participate in your local city or in an online event. 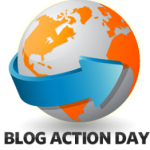 Today, Oct. 15, 2012, is Blog Action Day. This annual event (this is year five!) allows bloggers around the world to blog about a common theme. This year's theme is: The Power of We. Of course, this topic is very relevant to professional resume writers. As a collective industry of careers industry professionals, we have immense power to shape the discussion about the job search and provide hope and inspiration to thousands of jobseekers each year. This theme is especially relevant this week, as the last month has featured two great examples of resume writers working together -- the National Resume Writer's Association Conference in Charleston last month and the Career Directors International Conference in San Diego last week. At careers industry conferences, resume writers share strategy, tips, and best practices with their colleagues. Information is shared in sessions but also in informal networking and social get-togethers outside of presentations. When we share information and ideas with each other, we have the power not only to improve our own skills, but the results and experiences of our clients. When we share information and ideas with the media, we increase visibility about the resume writing profession. And when we share information and ideas with our clients, we help them become more effective in their job search and careers. We have a lot of power as professional resume writers — but we get the most out of this power when we share with others. On this Blog Action Day, take a moment to think about how you can use your power and share something with a colleague, a client, or the media today. Deadlines are an inherent part of being a professional resume writer. Most people will have anywhere between one and half a dozen active deadlines in their client work at any given time. Deadlines can be a very useful tool for managing resume projects, but when used poorly, can be a huge source of stress. The most important skill you could develop with deadline management is the skill of saying "no." When a client contacts you with an urgent need for a resume, it's tempting to simply say "Yes" -- especially if you need the work, or you're tempted by a rush fee. For example, let's say a client asks you on Wednesday: "Can I get my resume by Friday?" A good answer might be, "No, a well-written resume takes at least three business days. I can have it done Monday, or we can do a quick triage job to submit it by Friday, but there will be a 30% rush fee for that." A bad answer would be to take on the task anyway, even though you'd be overloaded. Learn to say no to tasks that you can't handle. What goes hand in hand with saying "no" is knowing your schedule. If you don't know exactly how much work you have to do each day, there's no way for you to know whether or not you can take on more work. In order to know whether to say yes or no to a task, you need to be able to accurately gauge your current workload. Take all your open resumes and task deadlines and predict how much work you'll need to put into them. Then schedule this work out on a day-to-day basis. You now know how packed or open your schedule is. I saw an example of this on a fellow career industry colleague's Facebook page. Oftentimes your ability to fulfill on a deadline will depend on your clients meeting their deadlines. If your deadline is to deliver a first resume draft, and the client hasn't returned their questionnaire (or responded to your questions), you're going to have to either work from the information you do have, or reschedule the client's deadline. Make sure your client knows what is expected of THEM in terms of meeting deadlines so YOU can meet their deadline. This will help you make informed decisions about delivering current projects -- and whether or not to take on new projects and what deadlines you can agree to. These deadline management techniques will help you avoid taking on more than you can handle. They'll also help prevent late client projects due to unrealistic deadlines. All around they'll help you reduce your stress level. While many resume writers have a website already, there are some folks thinking about starting a career services business who haven't even picked out a business name yet. If you're at that point, think about your website domain name at the same time you're naming your business. A domain name is the name of your website. For instance, ebay.com is the domain name for eBay. There are many places to buy domains on the web. You can purchase the domain for a single year or in terms of multiple years. Domain registration is relatively inexpensive, with prices at under $10 per year. I personally use -- and recommend -- 1and1. Go with .com — domain names that end in .net, for instance, may be cheaper than domains that end in .com, but most people are going to remember .com. If you have a different ending, you could end up losing customers. Once you find an available domain that you like, it's time to buy it. You can enter a public or private registration. Public registrations will be visible in the whois.com directory. The whois directory allows people to type in a website and view the owner's personal identity. If you do not want your personal information shown, choose private registration (this may cost extra with some domain registrars -- private registration is the same as public registration on 1and1). After you have selected the term of your registration (such as 1, 2 or more years) and decided if you want public or private registration, you only need to enter your billing info and complete your purchase. Congratulations to the newest "G3" coaches -- Certified Get Clear, Get Found, Get Hired Coaches from The Academies. The next G3 class begins Tuesday, Oct. 16. You can save $250 on the upcoming program if you register by tomorrow -- Friday, Oct. 5 -- using coupon code FALLG3. The program is held via teleseminar (90 minutes per week) and is taught by Deb Dib. Classes are held every Tuesday from 3 p.m. to 4:30 p.m. (Eastern time) from Oct. 16 to Dec. 18. The cost is $2497 or four payments of $647. Register for the G3 training here. Yesterday, I wrote about Career Directors International's Career Innovator Awards. Today, I learned that two of those award-winning innovators -- Susan Whitcomb and Pat Schuler -- are offering a $200 discount on their program if you purchase by Oct. 19. The Career Innovator award are presented to individuals who have developed a resource, tool, program, or initiative that has added significant value to the careers industry -- either to jobseekers or career professionals. Susan and Pat's program, "Serious Revenue: Landing 4- and 5-Figure Clients...With Integrity and Heart" earned the 2012 Career Innovator award. Susan Whitcomb here! . . . I’ve spent several decades in the career field as a practitioner like you, and have also trained and coached hundreds of career professionals over the last 10 years. During that time, my heart has been broken to see the many talented, passionate professionals who LOVE what they’re doing — in fact, feel called with a divine destiny to do what they do — but are STRUGGLING to make ends meet. And to be painfully honest, I’ve struggled with the same issue in the past! I wanted to do something about this (and boost my own skills in the process!). I’d heard about several people in our industry who were also in that mode (doing great work but not making the income they wanted) and had worked with the amazing sales coach, Pat Schuler — doing so, they took their income beyond what they had dreamed, landing 4- and 5-figure clients on a regular basis. The problem was, a lot of people can’t afford Pat Schuler’s $400-600 per hour rates. So I asked Pat to team up with me and create a product where people could get more than a dozen hours of her and my time at what it would cost for approx. one or two hours of her time, as opposed to $7,000 to $8,000! . . . a product that would have a lasting change on the way you do business and enable you to earn more for the priceless services that you offer. So, if you . . .
Or perhaps have been doing this for years, but worried that if you can’t find a way to earn more money, you may have to go to work for someone else . . . read on! You know you make a difference in your clients’ lives, and if you could you’d do this work for free. You’re self aware, and you’ve done a lot of personal growth work. Are you beginning to suspect that, like me, you have some old beliefs or old habits that are potentiallysabotaging your business success despite the expertise with which you deliver your services? What if the major obstacle in your way is just that there’s a skill set you haven’t yet mastered? How many weeks or months of training have you had at actually growing your business? How well is that training working for you? How often are you getting push back on your fees or programs? What percentage of prospective clients are saying, I need to think it over? These are all challenges that you can master with the Serious Revenue: Landing 4- and 5-Figure Clients … with Integrity & Heart program that helps you conquer self-sabotaging beliefs, that leads you step by step through a process that empowers you to ask for the business from a place of confidence and power without being arrogant or pushy . . . in fact, with integrity and heart. I’m really impressed with the Serious Revenue: Landing 4- and 5-Figure Clients … with Integrity & Heart training and genuinely grateful to have been among the first to learn these innovative techniques — things I would have NEVER thought of on my own, and I consider myself a fairly decent salesperson to begin with. I grew up in a family of sales-people, but this program taught me techniques I’d never heard of before, and it gave me usable tools to implement in my business immediately that will inevitably help me reach my revenue goals more quickly. The program also made me much more aware of why it’s important for me to reach my revenue goals. 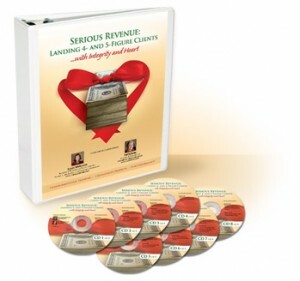 What’s included in Serious Revenue: Landing 4- and 5-Figure Clients … with Integrity & Heart? More than a dozen audio sessions on a thumb drive (in MP3 format so you can download to your iPod) covering everything you’ll need to know to land 4- and 5-figure career clients, from mindset, overcoming limiting beliefs, to setting revenue goals, qualifying clients, and asking for the business … with integrity and heart! A beautiful binder with approxiately 200 pages of transcripts, for those who prefer to read along while also listening. Outlines to bring the comprehensive material into focus. Special Bonus: To ensure you implement the program and reach your revenue goals, we’re addingMomentum Monday – Six MONTHS of LIVE monthly calls with Pat and/or Susan on the 4th Monday of the month (we take a break for summer and December). Pat and I have invested hours and hours of time over a six-month period to make this product powerful. We have finished beta testing and put final touches on production, so the product ships immediately! If you’re committed to seeing some Serious Revenue in 2012, this will be the key tool to make that happen! On top of the Serious Revenue program with Susan and Pat, which covers the selling side of the equation, you’ll also be able to participate in a proven marketing system with a professionally trained and licensed Get Clients NOW!“! 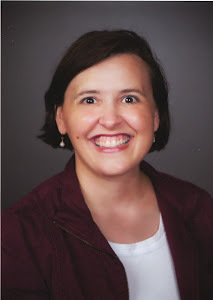 facilitator–Kim Avery! Kim, a graduate of Career Coach Academy and now completing the Job Search Academy program, is an experienced coach AND marketing maven, passionate about marketing and helping you build your practice. She provides foundational marketing education, training on how to build an effective marketing plan, and coaching through the process of implementation. I guarantee you will love her warm and caring style, insight and wisdom, and deep level of competence! With both the selling tools you’ll learn in Serious Revenue and the marketing tools you’ll implement in Get Clients Now!, you will have the critical information AND the support you need to get on the right track. Use promotional code INNOVATOR when you buy -- and get the program for only $695 (instead of the usual $895). Code is valid through Oct. 19, 2012. Learn more about -- or purchase -- the Serious Revenue program here. Four years ago the Career Innovator Awards were launched by Career Directors International (CDI) to encourage industry professionals to grow, learn, and innovate. The awards encourage and celebrate excellence and innovation. Entries have been seen in a variety of areas, such as career management and job search apps, social resume tools, university-development dual career programs, social search strategy books, employment information and job seeker support websites, job search how-to programs, and much more. For 2012, former winners were once again asked to return as judges in helping to select the winners from the entries received this year. The competition was tremendous and resulted in a tie that led to six total winners (vs. the five typically selected). Full 2012 Innovator Winner application descriptions can be viewed at http://www.careerdirectors.com/cia_2012.htm. Twelve years ago Career Directors International (CDI) launched Update Your Resume Month. While there are always great resume writing tips to be had, sometimes the master techniques that are employed by the most elite of resume writers tend to get missed. Why? Not because they are trade secrets but because they require flexing a lot of creative, technical, and strategic muscle. 1. Quote Your Last Boss. A resume is all about saying why an individual is the perfect one for the job. However, it is easy for employers to be jaded about what they read due to the amount of puffery that jobseekers sometimes employ. Take a look at letters of recommendation, accolades, awards, and letters of thanks from employers and clients to find a quote that represents the value offered for the target job(s). The quote lends credibility and can be verified, which makes an employer more trust its validity. To make a quote stand out, try centering, bolding, and italicizing it near the top of the resume; or perhaps use a text box or other lightly shaded background. 2. Chart the Way to Success. Charts are a lot like the use of color in the resume – don’t add it in unless it makes sense. Using a chart or graph on a resume in relation to a particular job makes sense if the job seeker can show progress in fiscal responsibility, beating colleagues in goals, meeting/exceeding quotas, or simply showing the amount of sales achieved each year. Why use a chart? Because many people are visual and begin to go cross-eyed after reading line after line of text, no matter how good a job the writer did in making it bite-sized and easy-to-read. A chart will draw the reviewer’s eye and provide a quick summary of top accomplishments. 3. Link to Your Profile or Webpage. It is quite common for employers and recruiters to look for information on job seekers beyond the supplied resume. Make it easy for them by including a link to a LinkedIn Profile or other major web page, such as a web resume or about.me page. Take steps to ensure such online content is robust and complete. Include information such as further project details, in-depth skills lists, and letters of recommendation or testimonials (with approval from the author). As always, no matter how visual a resume, there is no excuse for slacking on grammar, punctuation, and content. Every resume should work to present the job seeker’s individual unique selling propositions or brand, key areas of expertise, and the challenges faced, actions taken, and results attained in employment positions. For more tips, CDI’s Job Seeker Center also provides a variety of free resources along with search tips, more resources from Update Your Resume Month, and information for locating and selecting a professional. 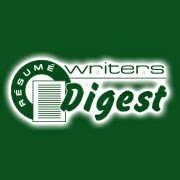 CDI also encourages resume writers and career professionals to spread the word about Update Your Resume Month. This event offers a crucial reminder to job seekers about the value of keeping their resumes up-to-date or simply taking advantage of recording their new experiences as they happen in order to prepare for their next professional update. CDI is a global professional association committed to ensuring that career and resume professionals can grow and thrive in a rich, vibrant, exciting, and nurturing environment. CDI is focused on championing the industry’s cause for credibility and visibility; fostering exceptional success in every generation of career and resume professionals; and cultivating the career superhero that exists within each one of us.